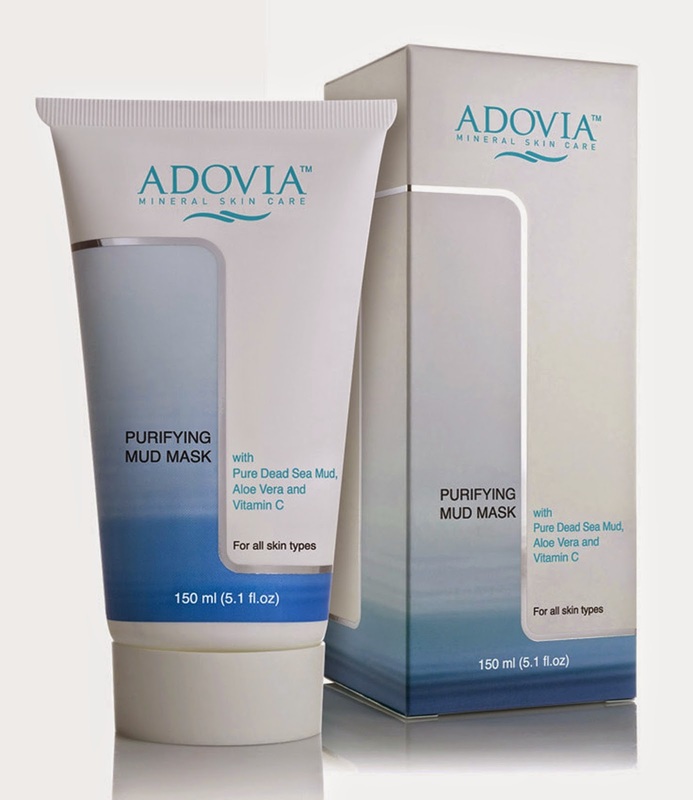 Adovia Mineral Skin Care is made in Israel with minerals from the Dead Sea. The Dead Sea differs from oceans in many ways. It has a much higher salt content but it also has a much lower sodium chloride measurement. For normal ocean water, 85 percent of the salt is sodium chloride while the Dead Sea salt is measured to only have 2.5 percent sodium chloride. This means more of other minerals since there is less sodium chloride. Historically people have visited the Dead Sea for therapeutic reasons, dating back to the ancient Egyptians. Soaking in the minerals can reduce pain from different types of arthritis. It can be a huge aid for psoriasis and acne and is reported to reduce the depth of wrinkles from aging by 40 percent. Purifying Mud Mask is made with Dead Sea Mud, Aloe Vera and Vitamins A and C. You can tell how good this is for your skin, just by me telling you that much. Then they add in Beeswax, Jojoba Oil, Evening PrimroseOil and other soothing natural ingredients. The purpose is to renew and rebuild your skin to make it smoother, healthier and younger looking. The nutrients replenish your skin cells to give you a rejuvenated and healthy complexion. Putting the mud mask on is both cooling and soothing. It actually has a fine mud texture rather than feeling like chemical goop. It has a pleasant, earthy scent. Instead of getting a dry, tight feeling while the mud mask is drying, it actually feels like it's sending moisture into your skin while removing the dryness. After rinsing, pores are noticeably smaller and skin has a much healthier look. My face actually became radiant. It also felt soft to the touch.